Today will be a brief departure from the norm, and will be mostly pictorial. I wanted to have a little fun with a basic staple of dining tables everywhere – the humble dinner napkin. 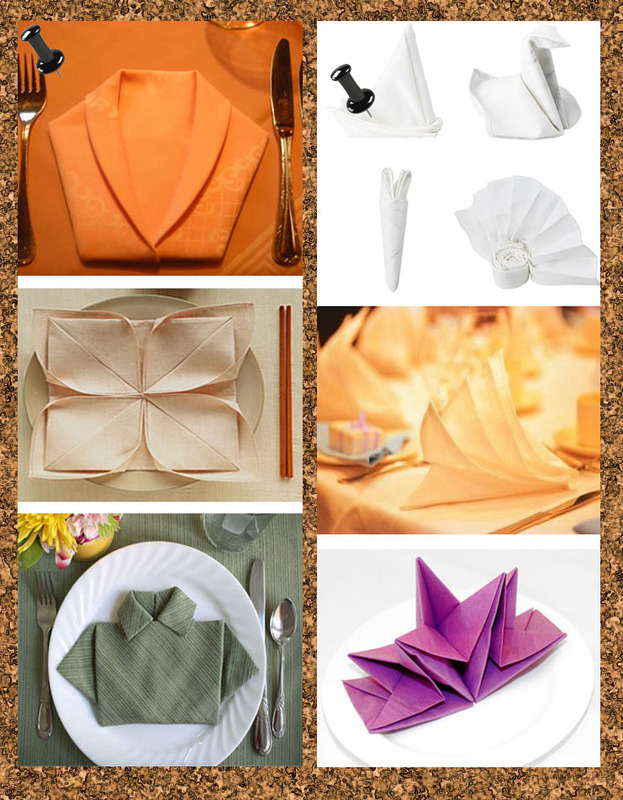 The beauty of the dinner napkin is that it is so versatile when it comes to being twisted, folded, and mutilated into some napkin work of origami art. Enjoy the pictures, and try these at home!